Thursday, Apr. 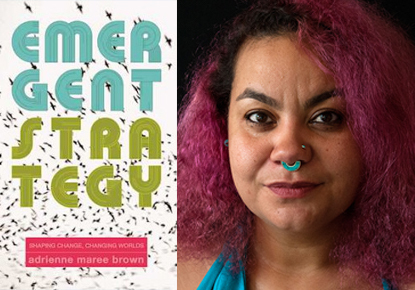 18, 2019, 6:30 – 8:30 p.m.
Join activist and author Adrienne Maree Brown for a reading centered on her book "Emergent Strategy" and a celebration of community-led organizing in Seattle. This event is made possible with support from the Seattle Public Library Foundation and the Seattle Office of Civil Rights.